I bless the LORD who gives me counsel; in the night also my heart instructs me. I have set the LORD always before me; because He is at my right hand, I shall not be shaken (i.e., moved). Yet in middle-eastern culture, the description meant even more. To “be at the right hand” was to be in the place of honor, privilege, access. After his crucifixion, Jesus ascended, exalted as seated at His Father’s right hand. “At the left hand” wasn’t far behind. James’ and John’s mother prematurely asked if her boys could be seated, “one on the left and one on the right” when Jesus came into his glory. When you read the Scripture above (again), put these two “right hand” aspects together and consider how you operate. Listen to the Psalmist. 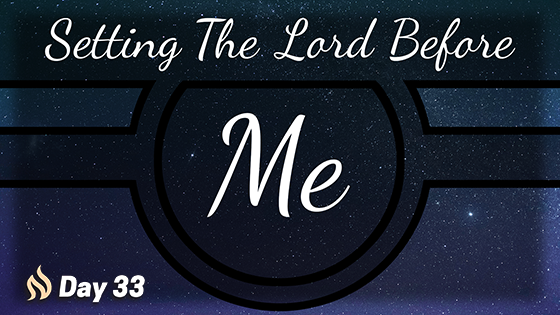 His life was about insisting that the Lord’s presence permeate His moments. Counsel at night. Setting the Lord before him 24–7. Making sure God is constantly in the most influential place and in the most honored place of whatever goes on with him. Note the outcome: I shall not be shaken (or moved). There’s nothing cool in Hebrew parlance about getting moved and shuffled around. Successful life required rootedness, stability, solid, sure footing. It depends on your right hand.